In the late 1960s Vi Martin visited Ilford in Essex. She sent a postcard of her trip to Mrs Rockwell. 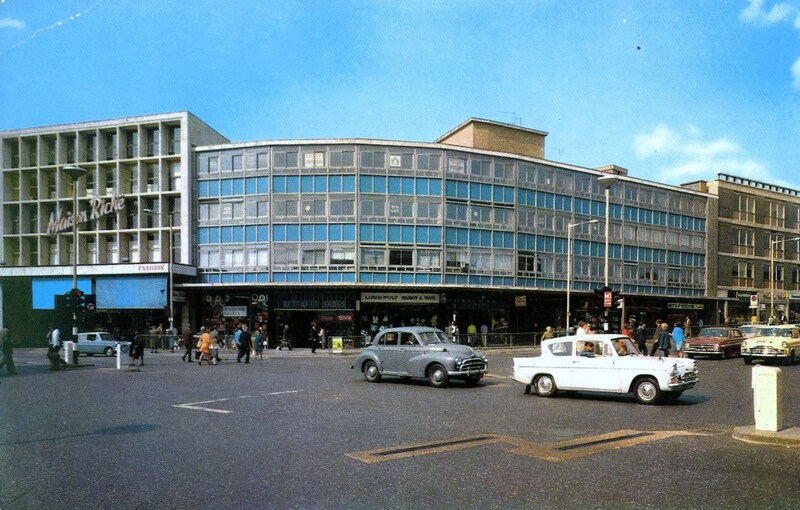 The postcard showed the super-modern shopping parade at the corner of Ilford Broadway, featuring Bettafit Shoes, Lunn Poly travel agents and the exotically French fashion house ‘Maison Riche’. Would you recognise this as old Ilford Broadway? My sister and I often talk of the old days and compare the shops and roads and traffic. Thought this might interest you. All the best.